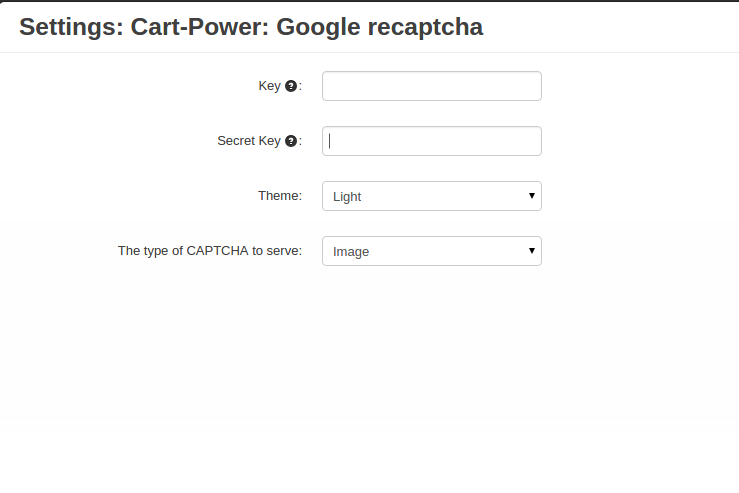 CS-Cart "Google reCAPTCHA" add-on replaces your default CS-Cart captcha with Google reCAPTCHA. This solution is based on one of the latest Google technologies to protect websites from bots and spammers. 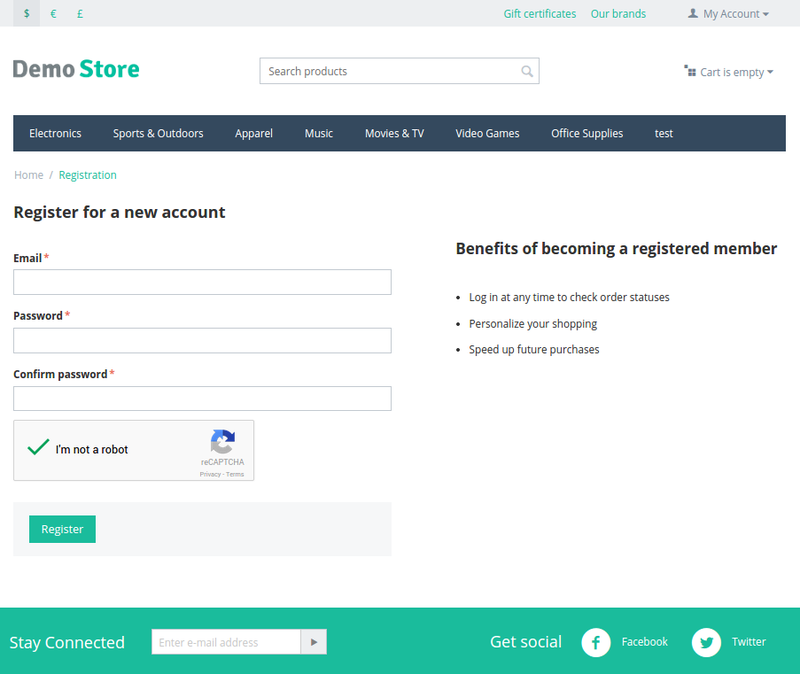 Cart-Power applied this innovation to CS-Cart platform to make it easy and pleasant for users to go through anti-bot validation and sign in. 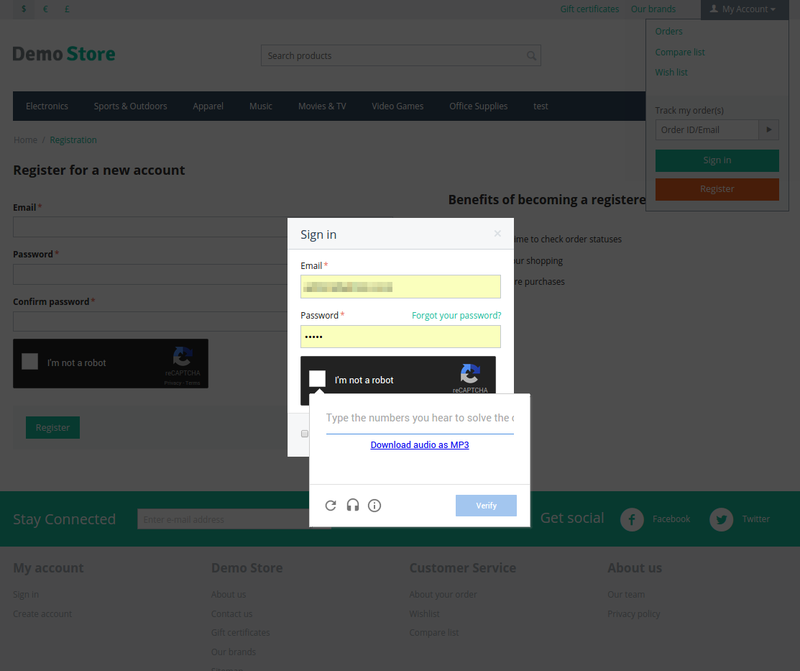 We recommend you to see the video tutorial that we have prepared for this add-on. Google presented a brand new system named «No CAPTCHA reCAPTCHA» that allows users to confirm they are humans with one click. 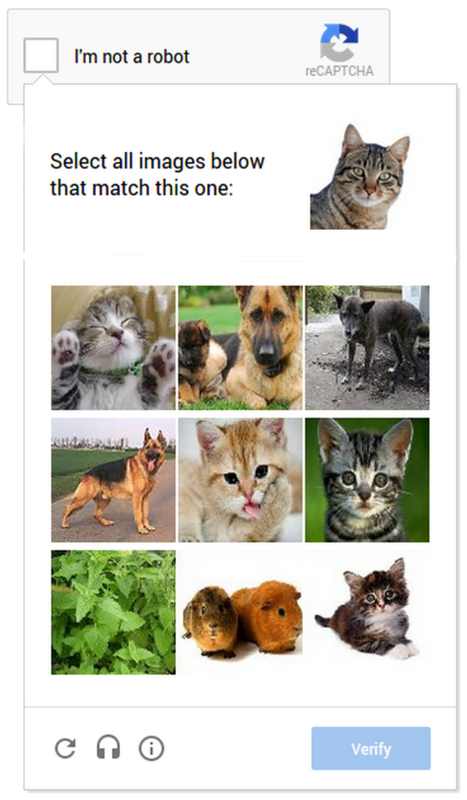 This test directly asks user whether they are robots or not. Seems quite simple, right? 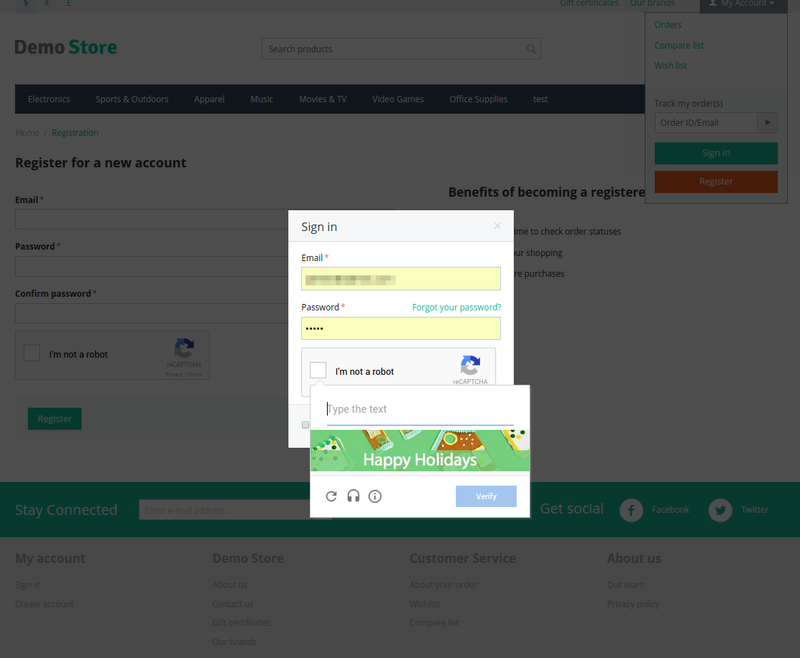 Only at first sight - in fact, the system analyzes user's behavior with the help of a special script discerning suspicious activity and after this, preprocessing it offers this simple checkbox to click. No CAPTCHA reCAPTCHA also includes the second level of verification, in case that system doubts user is actually a human. This anti-bot check level is also more user-friendly than old tests with distorted unreadable texts. 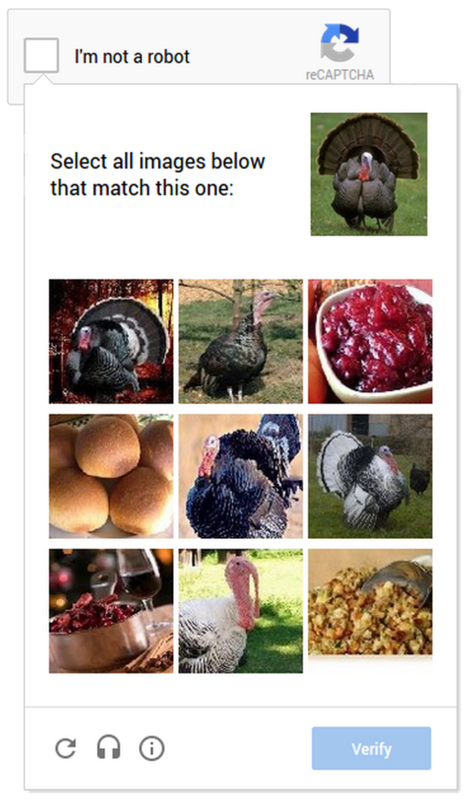 New technology offers to match images with a random picture. It is much easier for touch devices users to tap photos of cats or turkeys than to tediously type a line of distorted text. 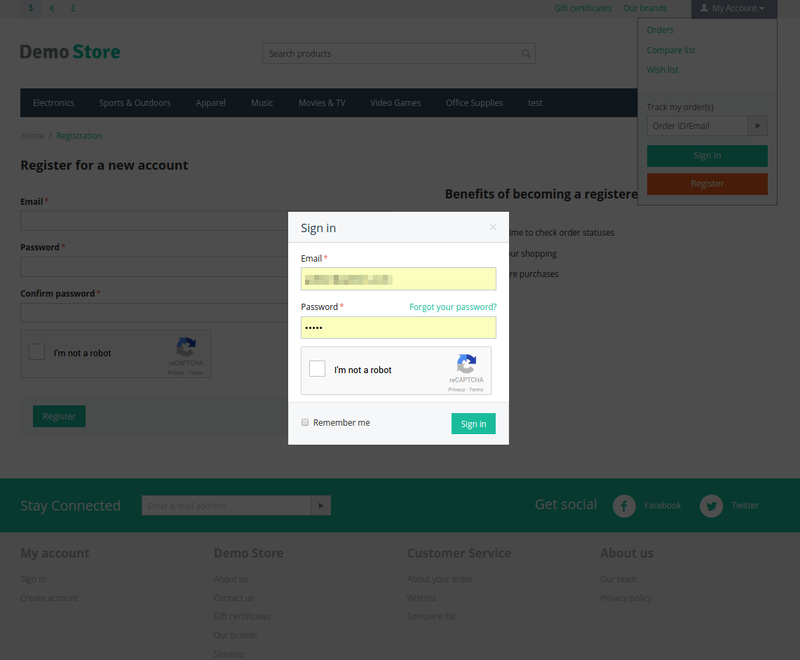 We have added the ability to use the reCaptcha on the Send to friend form. 2 design themes (dark and light). 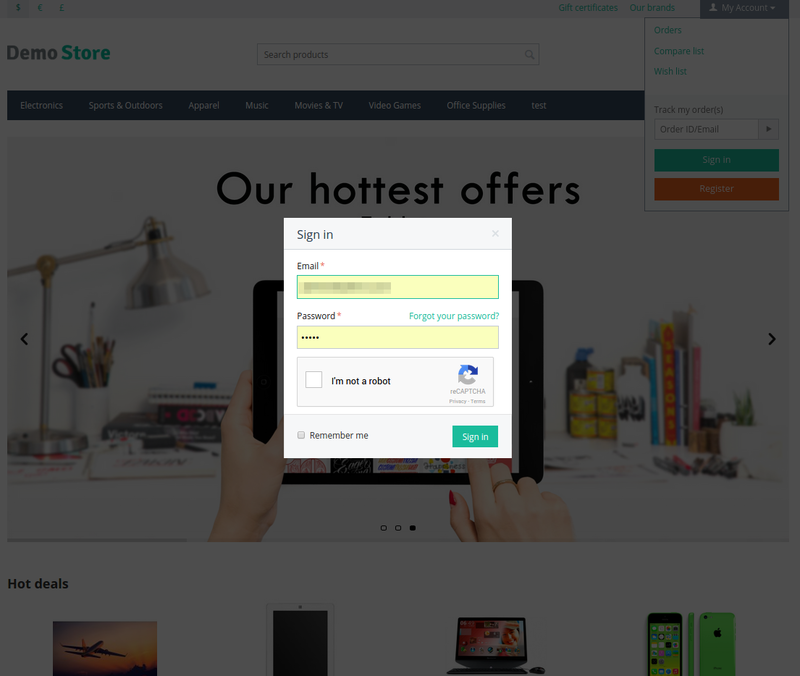 I use this re-Captcha add-on for about 1 year on my 5 eCommerce sites. In this period of time, I updated my sites 3 times to keep up with the evolutions of CS-Cart. We can see the quality of an add-on when we forget that it works perfectly, and this add-on from Cart-Power works perfectly, which is why we forget it! Как заставить его работать на второй витрине? Или хотя бы его для неё отключить? Хороший, полезный модуль! Установил на cs-cart 4.3.6 за пару минут. полет нормальный! Хороший модуль, не надо напрягать покупателей вводом цифр и прочих знаков))) На версию 4,3,4 встал без проблем.